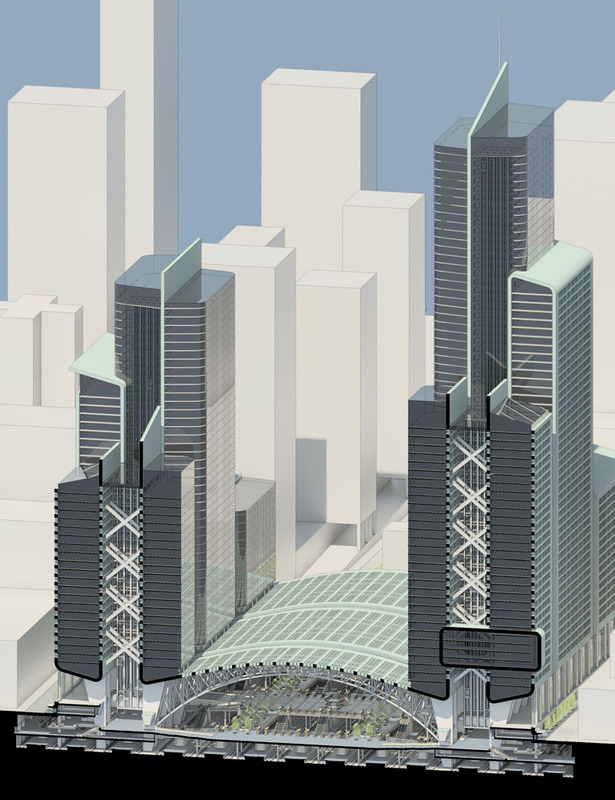 The massing of the office towers above the station is situated to utilize valuable air rights development opportunities while enhancing the spatial qualities of the station below and the context of the surrounding city. 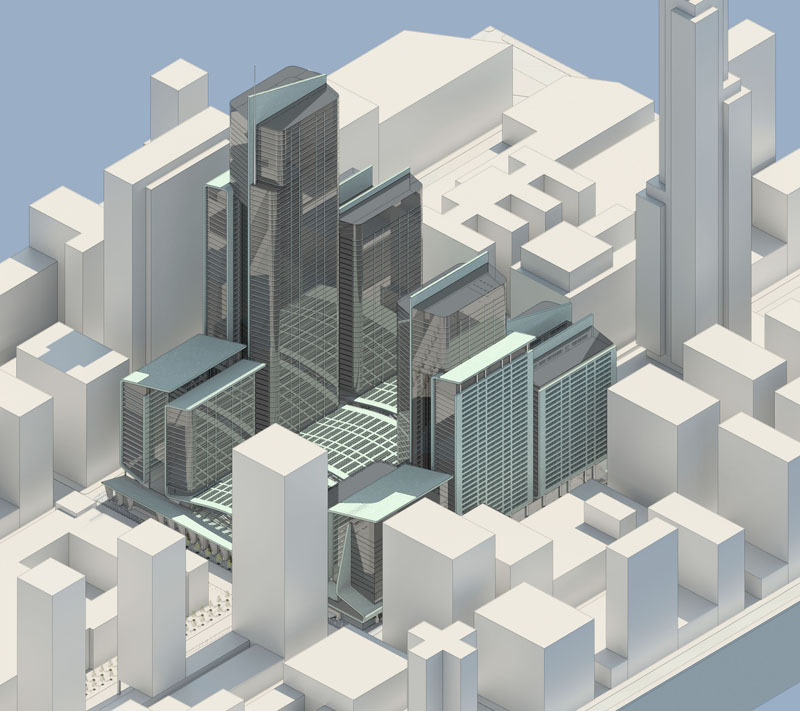 Taller, vertically-oriented portions are sited toward the skyscrapers of Midtown, and the western portion has a lower, more horizontal character to relate to the low-rise context of the Farley Post Office. Fig. 4.12: Aerial axonometric facing north. 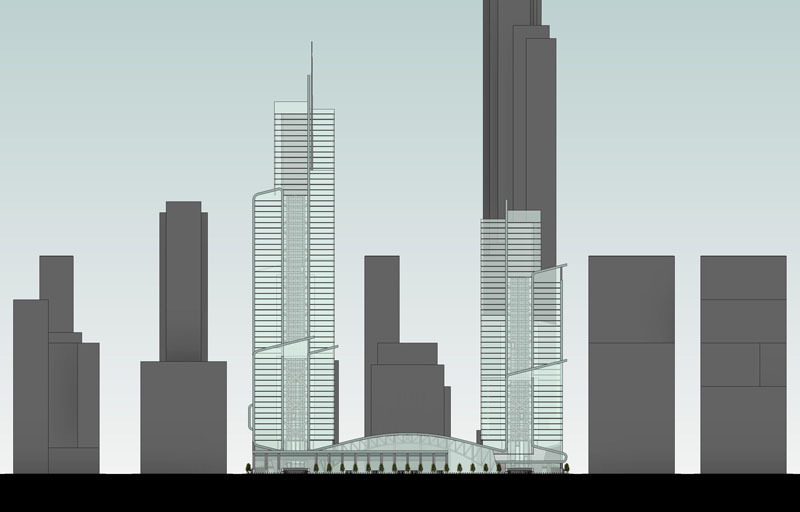 The high-rise office towers above the station are divided into three segments each in order to break up their apparent mass, with higher portions oriented toward the east in order to relate to the Empire State Building, SHoP’s proposed Gotham Tower, and other skyscrapers of Midtown Manhattan. 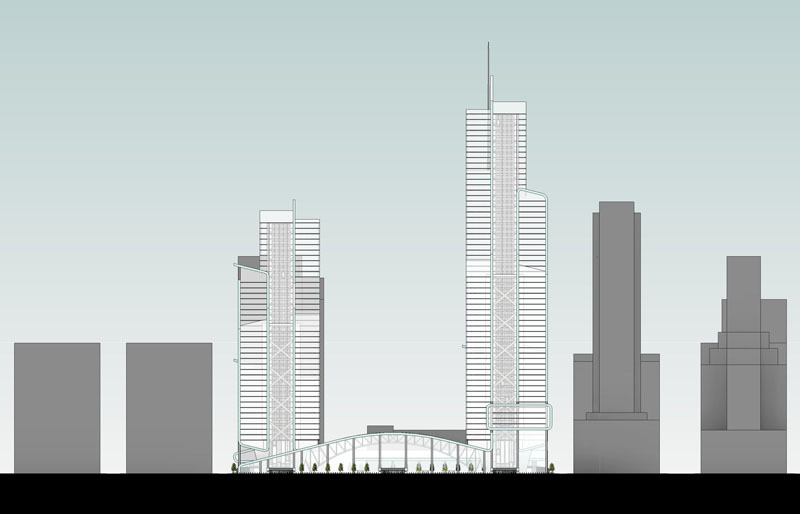 Toward the west, the high-rise masses are lower and more horizontally-oriented, in order to relate to the Farley Post Office and other low-rise buildings adjacent to that end of the site. Fig. 4.18: Cutaway Axonometric. The cores of the office towers are located within slot-like atrium spaces above the mezzanine level passenger concourses and food halls. As passengers make their way from the train platforms to the sidewalks, their visual orientation shifts from the layered, horizontal orientation of the below-ground transit infrastructure to the vertical orientation of Midtown Manhattan’s skyscraper canyons.